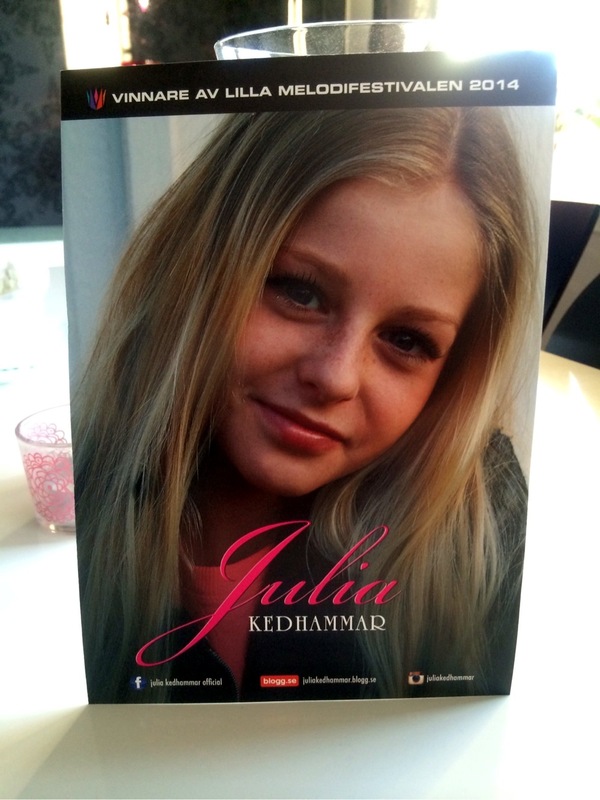 Julia Maria Linnéa Kedhammar was born April 7, 2000 in Skogås. She lives in this disctict 15 km south of Stockholm with her mother Malin, father Anders, 3-years younger sister Alva and their cat. Julia spent the first three school years in a nearby public school, after which she in grade 4 applied and was accepted at the Adolf Fredrik music school and Kulturama. The choice fell on Kulturama in Hammarby Sjöstad. Julia is a happy and lively girl with a big heart. She puts a lot of time on the vocals and the music, but also in soccer. She plays in Älvsjö AIK's development team and spends many nights a week with workouts at Älvsjö IP. Otherwise she devotes as much time as possible to spending time with friends. Her favourite school subjects are music, Spanish language and Physical Eduction. She also studies in a school of arts with music (vocal, dance and theatre lessons) as main subject. Her favourite artists are: Pink, Beyonce, Michael Jackson, "One Direction" and Swedish singer Oskar Linnros, favourite songs: "F**ckin perfect" (Pink), "What Are Words" (Chris Medina). 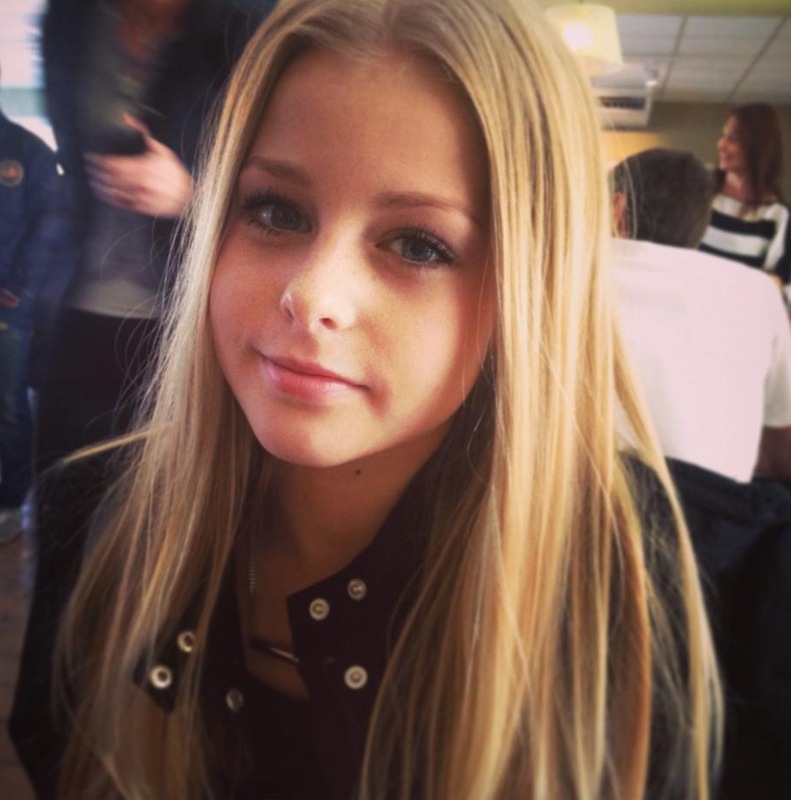 She is also a fan of Molly Sandén and hopes that her own Junior Eurovision participation will lead her to the similar success as enjoys Molly, and may be will also open doors for her sister Alva, as it did for other Sandén sisters. Julia's motto is "Be who you are and fight for your dreams". "I want to be an artist. I want to be the allrounder, singing and dancing simultaneously. I want to do pop music, but I also love to sing ballads, so it could probably be a little different"
Julia is just 14 years old but has still been an active musician for many years. She began singing at the same time as she started talking, and is self-taught in playing drums and bass. "She always sings when she is in the shower", adds her little sister. 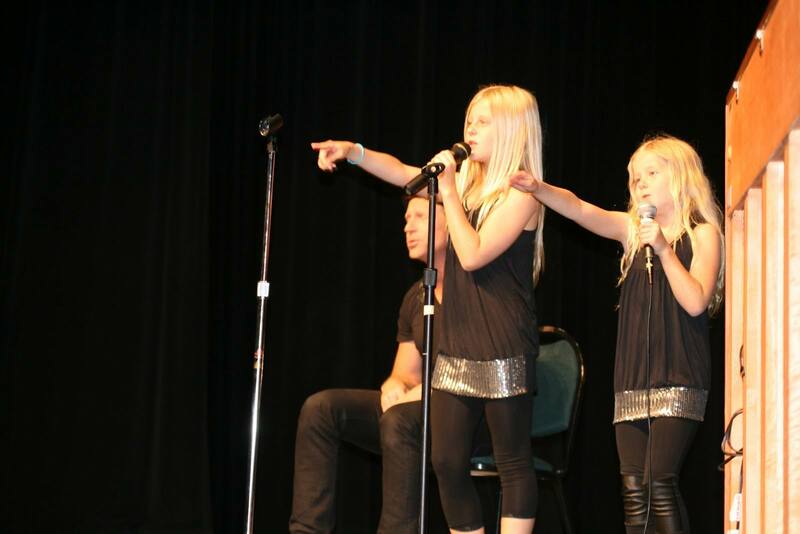 "And you always sing when you are brushing teeth", quickly replies the big sister Julia. When Julia Kedhammar was just 11 years old, her life has suddenly changed. Her cover of Michael Jackson's "Heal the World", recorded in 2010 at the stage of the music school Kulturama and published on Youtube led to a contract with major record label Sony. Father of Julia, Anders Kedhammar was working as a music teacher in a suburb of Stockholm where he had many immigrant children among his students. These were children who hadn't been brought up on the typical lullabies that Swedish-born children receive at their mother's breast. "Slowly during the years, I have picked out songs that don't necessarily mean you have to be fluent in the language in order to sing, but that are still interesting", Kedhammar described, "Songs with a unique combination of melody, rhythm and lyrics. It was then that I discovered how unbeatable our old children's songs really are". The songs Kedhammar refers to are old folk songs and games like "Bro Bro Breja" as well as newer Astrid Lindgren songs. Delighted by his discovery, Kedhammar reached out to music teachers-to-be studying at Kungliga Musikhögskolan (the Royal College of Music) in Stockholm, asking if they'd be interested in recording these old hits. Kedhammar wanted a full band backing him up, not just some low-budget acoustic recording or a drum machine. The record was made and everyone was happy. "The kids in the suburbs listened to the Swedish songs like never before; hip hop and pop music suddenly found themselves with a contender," he says. Not long after that, Sony Music got in touch and decided to make a 'real' record of it. 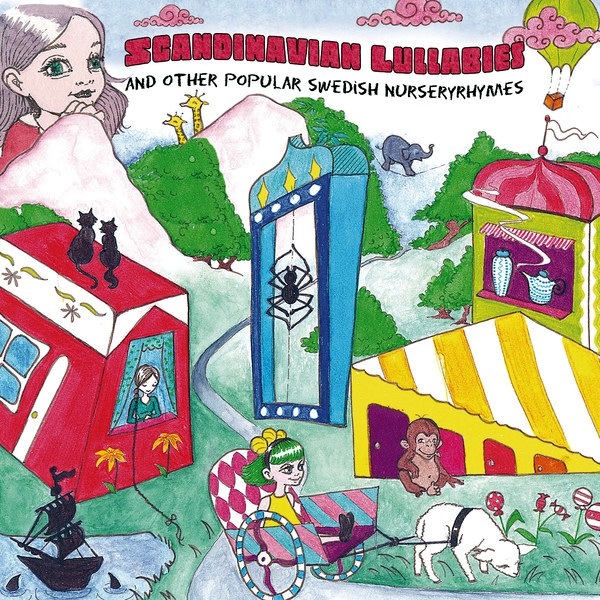 Album of Swedish children classics, recorded by Julia with her sister Alva and help from their father his band and musicians from the Royal College of Music in Stockholm, was a huge success in sales as well as culturally, since all Sweden's public libraries took it into their registers. The record has also spread through the Internet across borders, reaching as far as Romania and Malaysia, and became immensely popular among Swedish-Americans in the US. 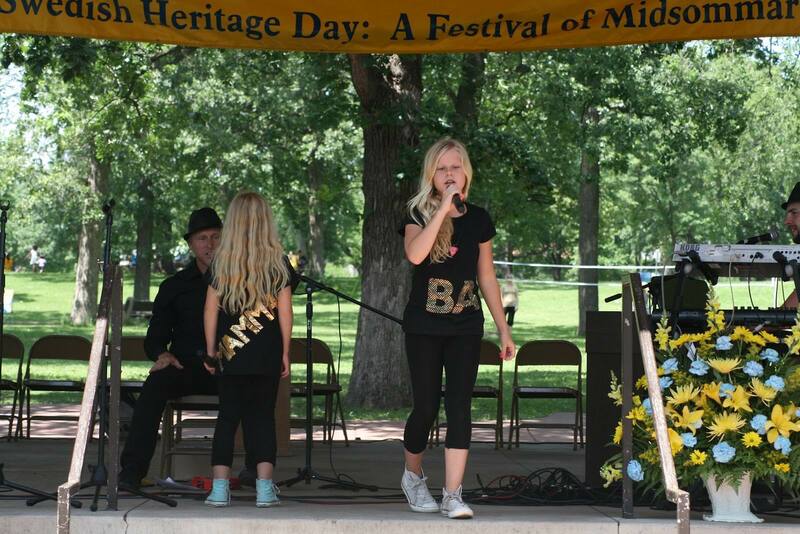 The success of the CDs has been followed by several performances of Julia and Alva in US in front of Swedish emigrants during Midsommer fests in such cities as Bemidji, Baudette, Thief River Falls, Roseau and others. A total of 12 towns and gigs took place in schools and shopping centers to finish the tour at the city park in Minneapolis with 7000 visitors. Despite the large on-stage experience, which included participation in Talent show Stjärnorna i Skärholmen as well as Lingman & Co production Julias Stjärnskott in 2012, it was the first final in Sweden in the Junior Eurovision Song Contest for Julia, who applied to the program twice before. "It's a proof that you should never give up", said the singer. "Taking part in Lilla Melodifestivalen is super fun, the music is my passion and that's what I want to do in future", she added. Julia describes her entry "Du är inte ensam" (You are not alone), to which she wrote the lyrics, as "modern pop song with a cool dance tune" about "how to behave and how to know what is right and what is wrong". As a new rule, the performers in Lilla Melodifestivalen have been helped this year by established songwriters, and it was Thomas G:son (ESC 2001, 2006, 2012 Sweden, 2007 Norway, 2007, 2012 Spain, 2010 Denmark, 2013 Georgia) who wrote music for Julia's song. "This collaboration feels unbelievable, this is what I've always dreamed of", says Julia. "I wrote it, since for me it is difficult to behave in certain way and fit in certain limits in order to be liked, and I know there are many others who think it is difficult. So I made this song, to get them to understand that there are more people with such a feelings. By writing the song, I have learnt that it is most important to stay yourself, even it's it's hard". Victory at the national final came not without problems, few days before the performance Julia got ill, she caught cold, had fever, sore throat and lost her voice. But in the end some healing tips her family got off the internet, such as drinking as much as possible of tea with chilli and ginger, helped and she managed to perform well. Waiting for the results, "I've never been so nervous", said singer. "I started crying immediately after I was announced as winner, but I had to reprise my song, and it was really hard to sing while trying to stop crying". "We believe very much in Julia. She has an artistic charisma and reaches out greatly across the stage", said jury chairman Christer Björkman. Little singer celebrated her victory with family and friends, who have been at the audience of the national final, and despite just healing from the cold, she went up to take few rides in entertainment park "Gröna Lund", where the final took place. "I do not really know how it actually feels, there are no words to describe it. I was absolutely delighted. But I was also shocked because I did not think I would win. Everyone else was so good. Everything at Lilla Melodifestivalen was fantastic. But especially the people I met. They have been very good to me and I have learned a lot of them. As of writing songs and how to express yourself and several other things that are good to know for the future. Representing Sweden in Junior Eurovision should be a great fun, it really feels amazing that the whole of Europe will see me. So it's pretty big"
Whole July and August Julia has been performing. She took part in Nickelodeondagen 2014 tour (with such a stars as Yohio and Anton Ewald in the line-up) in Löttorp, Visby, Gävle, Gothenburg, Tomelilla and Helsingborg, performed at Familjefestivalen in Älmhult, Järfällafestivalen in Jakobsbergs centrum and made several other local appearances. On 21 July this year, Julia was heard in the American television series "Rectify". There it was her interpretation of "Tom Dooley", with a self-written rap part, which ends the program and rolls over the end credits. She has also, together with Bobby Ljunggren, Thomas G:son sent in a contribution to this year's national selection to Eurovision Song Contest as a lyricist. At the national final Julia has been joined by 6 female dancers, which is over the maximum allowed for JESC nowadays. It is expected that her stage presentation will be polished for Eurovision by head of Swedish delegation at Junior Eurovision choreographer Tine Matulessy, who has worked on Belarus performance in this year's adult Eurovision, and number of dancers will be reduced to 4. Tine has also proposed new outfits for the girls, made specially for Junior Eurovision. Junior Eurovision 2014 will be broadcasted on SVTB channel, commented by Edward af Sillén och Ylva Hällen.​ Last year's entrant Elias Elffors Elfström will be Swedish spokesperson at the show. - Hi, Julia, and first of all our congratulations for winning Swedish Lilla Melodifestivalen! Can you tell us about your song, what is the message of it? - Thank you! My song is about all the questions everybody have, how you should be to ”fit in”. But I want to tell everybody to just be themselves and nobody else. Because if you are yourself, you will never be alone. - You have worked on it with famous composer Thomas G:son, how the collaboration went? Are you still in touch with him? - Yes I have, it went good. He was very nice. We both had many ideas and when we put them together, the result was very good! The colloboration went very well. Yes we are still in touch about other potential projects, but first Junior Eurovision! Thomas is also going to Malta to support Sweden! - What do you think helped you the most to achieve victory in Lilla MF- And what is the most difficult thing for you in the stage performance? - I think they saw that I really enjoyed the time on the stage. And I think they saw that my dancers enjoyed the time too. And happiness is spreading easily, so I think that is a reason. Another reason is that they probably liked the song and the performance and that they want me and my amazing dancers to represent our country in JESC 2014. I think that the most difficult thing is to dance and sing, both at once! But I like challenges! And I do a lot of training to make it sound good when I sing and dance at the same time. - You had 6 female dancers at Lilla MF, which is a bit more than is allowed at JESC. Will your act be changed then, and can you introduce your other stage team members? - Yes, it had to be changed, and unfortunately not everybody could follow to Malta. I am very sad for that, because they were with me through the whole competition and they won with me, and they are wonderful people. But the people I have with me now are also very good dancers! There are Elsali, Tess, Amanda and Leya. And they are all very nice and funny. - Who is working with you as your vocal coach and choreographer of your entry? - Tine Matulessy is helping me with the performing. She is very good and knows what she is doing. Emelie is the choreographer, and my songcoach Micke Blomqvist has a lot of experience from ESC, he also really know how to help me. - We believe there is also an English version of your song recorded? A lot of entrants also add several English lines to the version they perform in the contest, do you plan to do so as well, or would you stick with full Swedish one? - Yes there is an English version, both an acoustic version and another version that sounds like the one I am competing with. Yes, I do plan to sing one of the choruses in English! - Have you met any of previous Swedish Junior Eurovision entrants? Any advices received from them? - Yes, I know Elias, he goes to my school and we are friends. He says that I should have fun and also some other advice that is good to know. He is a very nice guy and is also coming to Malta, as he will be Swedish spokesperson. - Are you interested to find who will represent other countries in competition; will you listen to the other competing entries? - Yes I am very interested! I have already listened to all of them, and everybody is really good. It is going to be fun to meet them on Malta. - And what is your aim for the contest? Are you going to win it, or simply have good time and make new friends? - I want to have a really good time, make new friends and enjoy the time of this big happening in my life. It is a thing I have dreamt of, so it is amazing that I am competing in Junior Eurovision and that I will experience all these things! Of course I want to win, so I will do my best. But it is absolutely not the most important thing, but if I do, it will be a fantastic plus and I would be extremely happy. But everybody is very good, so it is going to be an even competition. - You had a pretty busy summer with loads of performances around Sweden, have you managed to rest on your Summer holidays? - Yes I had, but it was very fun! I met new people and I went to a lot of places. It was a great experience! Yes I have rested, I have been to Spain and I hung out with friends and much more. - Can you tell us, how looks your basic day now? What activities do you usually have? - Normally, it is a regular schoolday with song, dance and theatre. After school I hang out with friends or studying, and then football practice. But these days, near JESC, it is a lot of rehearsals, song coaching, testing clothes and more. But it is fun! - Yes, it is. But I do my best. I need to study on the fall-holiday so I won't fall behind and so I don't need to bring schoolbooks to Malta. - Do you like studying? What are your favourite subjects? - No.. Usually not.. But sometimes, if it is a fun subject like dance or song, or maybe Swedish, it can be fun. And it depends on how I study, too. If I just read, it is not fun. But if I search on internet and looking at videos and stuff, it can be fun. - You have already released several albums with classic children songs. And do you have any other self-written songs in your repertoire? Yes I have released 7 or 8 albums with children songs, classical and modern. And Yes, I have a few self-written songs, but not very many. I am writing many songs that never gets really finished, that is a disadvantage with me, sometimes I start things that I don't finish. I will get better on that. - Do you prefer to stick in your music to one genre, or you like to experiment? - I like both! I am feeling safe in my genre but like I said, I like challenges, so I think it's fun to try new things. - What are your plans after contest? Do you want to become professional singer? - I have not planned yet.. But I will take it as it comes, and I want to do my thing and be me. Of course I want to be a professional singer, but only if it feels right. I want to do what I love, and that is playing music. - You have performed several times with your little sister Alva, do you think she will also take part in Lilla MF once, making you sort of similar to Sanden sisters? - Yes I have, she is really good and talented. I don't know if she will participate in Lilla MF, maybe she will, maybe not. Perhaps she wants to do something else with her singing. - I hope you all will watch Junior Eurovision Song Contest and keeping your fingers crossed for me. I am nothing without support and love from people. Hope you all are having a great time and that you are doing what you love to do, in some way or the other. Remember, you are not alone and you are damned good just as you are. If you want to know me better, you can follow me on social media: Instagram and Facebook. 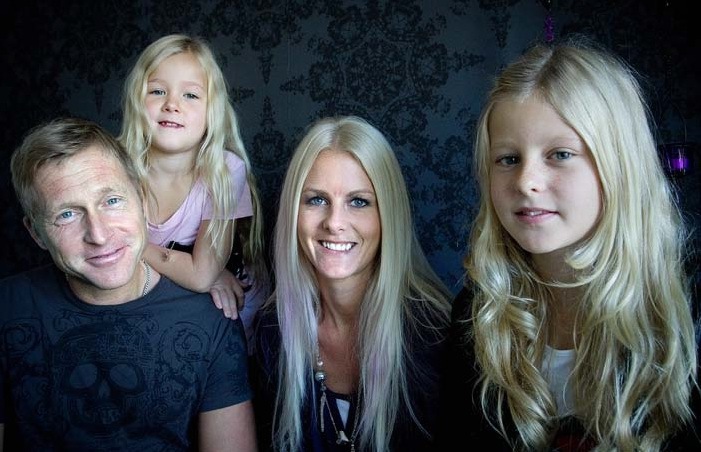 Julia Kedhammar will attend morning show "Gomorron Sverige" on SVT 1 tomorrow, November 6, starting 09:15 CET. You can watch recording of the program here. Julia Kedhammar has released music video for the acoustic English version of her contest entry "Du är inte ensam" titled "You Are Not Alone". Video has been produced by Sky Pictures. 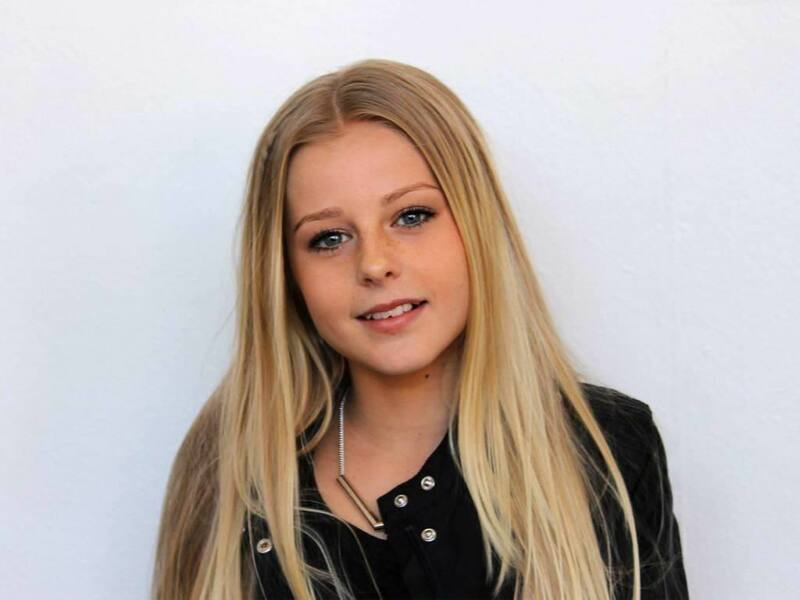 Representative of Sweden, 14-years old Julia Kedhammar has released official music video for the English version of her contest entry "Du är inte ensam" titled "You Are Not Alone". Video has been directed by Jonny Holmberg, Självständig Film. Swedish broadcaster SVT has announced schedule of Lilla Melodifestivalen 2014 broadcast on it's children's channel Barnkanalen. Despite the show itself took place in June and it's winner is long known, as usual SVT is broadcasting it as part of build-up to the international Junior Eurovision final in November. Swedish representative Julia Kedhammar today gave an interview to the "Good morning, Sweden" program on P4 Stockholm radio, where, among else, has performed acoustic version of her contest entry "Du är inte ensam" and another song "Lillebror". 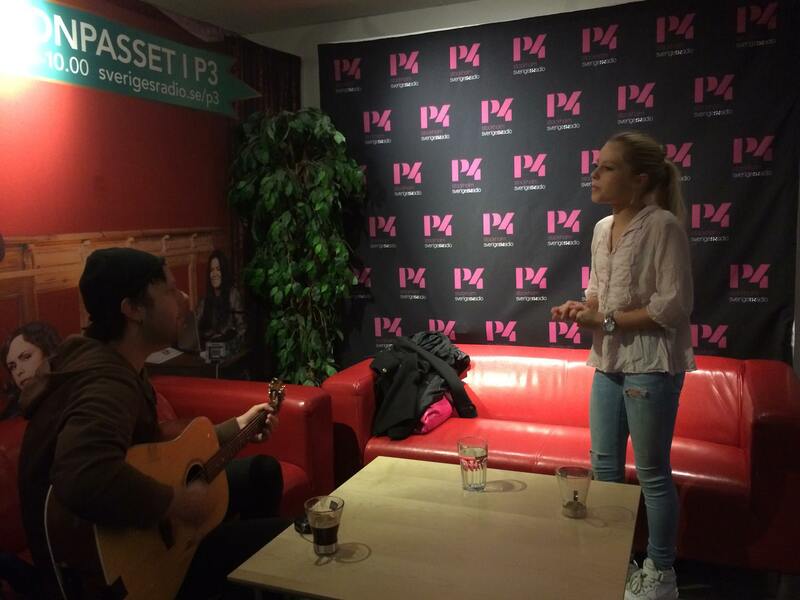 In the interview also took part Julia's father Anders, who has accompanied her on a guitar while singing. "We will actually begin to rehearse tonight for the finale", says Julia. Victory at Eurovision would make Julia incredibly happy. "It would mean everything for me. I obviously go there to win, but at the same time to have fun". Her new song "Lillebror" speaks about love to the little brother. But Julia explained that the lyrics are not autobiographical. "The message is that you should take advantage of the time with the ones you love, before it's too late", she described. You can listen to the complete interview (in Swedish) and separately contest entry on ESCKAZ page in VK social network. Julia Kedhammar has announced today in her blog that she has just recorded English version of her entry "Du är inte ensam" (although in acoustic variant) and it will be released shortly as well. 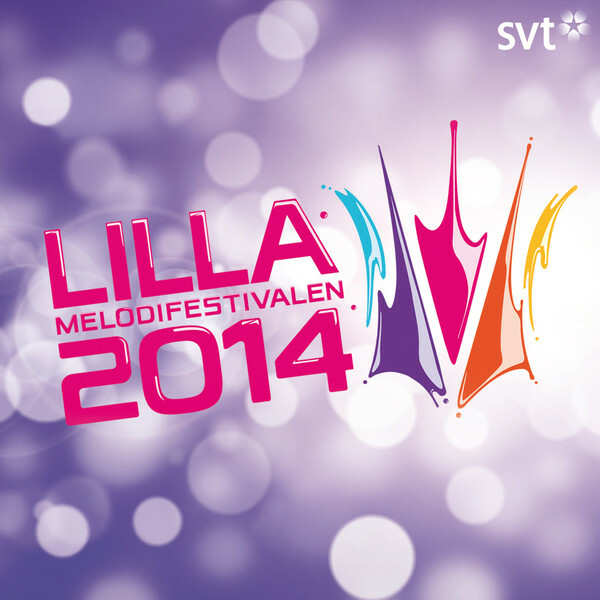 On February 5 SVT has opened submission for their Junior Eurovision 2014 national selection Lilla Melodifestivalen. As usual, no televoting was involved on any stage of preselection, all decisions were taken solely by juries. Until March 14th children aged between 12 and 15 years (with SVT again using upper age limit) could submit their entries in accordance with the national preselection rules, on the official web site of the broadcaster. A major change was included in the rules of preselection: In Belgian/Georgian way, the candidates were invited to send applications with video performances of any song, not necessary selfwritten or new. Softened rules saw the number of entries jumping to nearly 1000, the largest in recent years. The auditions took place on the 5th of April with 20 acts performing in front of jury made of Linnéa Wikblad, Tine Matulessy and Christer Björkman. On April 14, 8 finalists have been revealed by SVT. Among famous composers working with participants were Thomas G:son, Linda Sundblad, Marcos Ubeda and Jimmy Buffett. Candidates were also invited in special singing and dancing boot camp provided by SVT. National final took place on June 6, at 17.00 CET in Gröna Lund, Stockholm, organised by SVT, hosted by Kim Ohlsson and broadcast live on Sveriges Radio P4. The show will be broadcasted by SVT children channel Barnkanalen in November as the lead up to JESC in Malta. 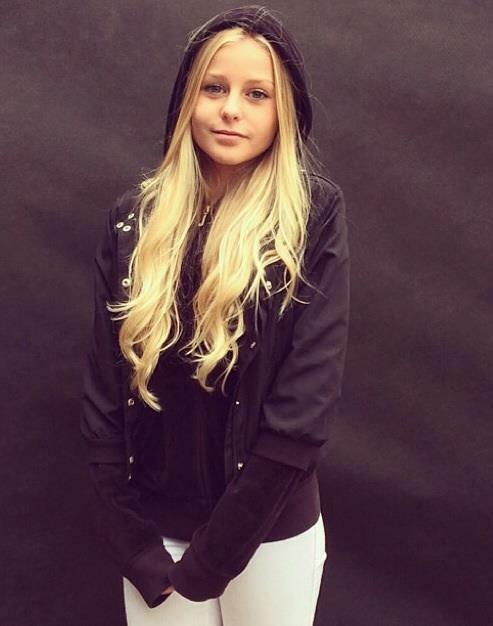 It has produced the first entry for the Junior Eurovision Song Contest 2014 - Julia Kedhammar with "Du är inte ensam". National final jury, which was responsible for the result, was made of Christer Björkman, Carolina Noren and Malin Olsson. Special guests for the show was band JEM. Lilla Melodifestivalen album has been released on June 7 by Lionheart Music Group, and can be purchased on Swedish iTunes". Юлия Мария Линнеа Чедхаммар родилась 7го апреля 2000 года в Скогосе. Сейчас она живет в этом районе в 15км к югу от Стокгольма со своей мамой Малин, папой Андерсом, на три года младшей сестрой Алвой и их кошкой. Первые три класса Юлия занималась в соседней обычной школе, после чего на 4й класс прошла экзамены и была принята в музыкальные школы Адольфа Фредрика и Kulturama. Выбор в итоге был сделан в пользу Kulturama в Хаммарбю Сьостаде. Юлия веселая и живая девочка с большим сердцем. Она уделяет много времени занятиям вокалом и музыкой, а также играет в футбол за младшую команду AIK из Элвшё и проводит много времени на тренировках с Älvsjö IP. Остальное время она любит проводить со своими друзьями. Ее любимые школьные предметы - музыка, испанский язык и физкультура. Также она занимается в художественной школе, с основным предметом музыкой (уроки вокала, танца и театра). Ее любимые артисты: Pink, Beyonce, Майкл Джексон, "One Direction" и Оскар Линнрос, а любимые песни: "F**ckin perfect" (Pink), "What Are Words" (Крис Медина). Ей также нравится певица Молли Санден, и она надеется, что ее собственное участие в Детском Евровидении приведет ее к такому же успеху, как достигла Молли, и может быть откроет и дорогу для ее сестры Алвы, также как это произошло у других сестер Санден. Девиз Юлии: "Будь тем, кто ты есть, и борись за свои мечты". "Я хочу стать артисткой, такой исполнительницей, которая поет и танцует одновременно. Я хочу заниматься поп-музыкой, но мне очень нравится петь и баллады, поэтому может быть будет немного по другому"
Несмотря на то, что Юлии всего 14 лет, она уже многие годы активно занимается музыкой. Петь она начала в то же время, что и говорить, и сама научилась играть на барабанах и бас-гитаре. "Она всегда поет, когда принимает душ", добавляет ее младшая сестра. "А ты всегда поешь, когда чистишь зубы", быстро "возвращает удар" Юлия. Когда Юлии было всего 11 лет, ее жизнь неожиданно изменилась. Кавер-исполнение песни Майкла Джексона "Heal the World", записанное в 2010 году на сцене музыкальной школы Kulturama и опубликованное на Youtube, привело к заключению контракта с крупнейшим лейблом Sony. Отец Юлии, Андерс Чедхаммар, работал учителем музыки в пригороде Стокгольма, где среди его учеников было множество детей мигрантов. Это были дети, которые не были знакомы с традиционными шведскими колыбельными, которые каждый шведский ребенок впитывал с молоком своей матери. "Постепенно, я отобрал песни, которые не подразумевали совершенного знания языка для исполнения, но все равно были довольно интересными", описывает Чедхаммар, "Песни с уникальной комбинацией мелодии, ритма и текста. Именно тогда я понял, что на самом деле у наших старых детских песен нет конкуренции".. Речь идет о таких старых фольклорных песнях, как "Bro Bro Breja", а также новых композициях на стихи Астрид Линдгрен. Воодушевленный своим открытием, он обратился к будущим учителям музыки, занимающимся в Королевском музыкальном колледже Kungliga Musikhögskolan в Стокгольме, спросив, не будет ли им интересно записать эти старые хиты. Чедхаммар хотел, чтобы они прозвучали в записи полноценной группы, а не низкобюджетной акустики с драм-машиной. Запись была сделана и все были счастливы. "Дети в пригородах начали слушать шведские песни, так, как они никогда этого не делали раньше, у хип-хоп и поп музыки неожиданно появилась конкуренция", рассказывает он. Вскоре после этого, с семьей Чедхаммар связались представители лейбла Sony Music, и предложили сделать настоящий полноценный альбом. Альбом со шведской детской классикой, записанный вместе с сестрой Алвой при помощи их отца и его группы, а также музыкантов Королевского Колледжа Музыки Стокгольма, достиг большого успеха, как по количеству продаж, так и в культурном плане, он был принят в регистры всех общественных библиотек Швеции. Посредством интернета запись распространилась через границы, достигнув даже таких стран, как Румыния или Малайзия, и стал хитом среди шведских эмигрантов в США. Успех диска привел к ряду выступлений Юлии и Алвы в США перед шведской диаспорой в рамках традиционных летних празденств в таких городах, как Бемиджи, Бодетт, Тиф Ривер Фоллс, Росо и др. Всего в школах и торговых центрах было проведено 12 концертов, и тур завершился концертом в городском парке Миннеаполиса, на котором присутствовали 7000 зрителей. Несмотря на большой сценический опыт, который также включал участия в шоу талантов Stjärnorna i Skärholmen, а также шоу Lingman & Co Julias Stjärnskott в 2012, в этом году Юлии впервые удалось попасть на шведский отбор на Детское Евровидение, хотя она уже и дважды до этого отправляла заявки. "Это доказательство того, что никогда не надо сдаваться", говорит певица. "Участие в Lilla Melodifestivalen очень интересно, музыка - это моя жизнь, и это то, чем я хочу заниматься в будущем", добавляет она. Юлия описывает свою песню "Du är inte ensam" (Ты не один), на которую она сама написала текст, как "современную песню с классной танцевальной мелодией" о том, "как вести себя, и как понять, что хорошо, а что плохо". Согласно новым правилам Lilla Melodifestivalen, в этом году детям-участникам помогали опытные авторы, и для песни Юлии музыку написал Томас Г:сон (Евровидение 2001, 2006, 2012 Швеция, 2007 Норвегия, 2007, 2012 Испания, 2010 Дания, 2013 Грузия). "Работать с ним просто невероятно, я об этом раньше могла только мечтать", говорит певица. "Я написала эту песню, потому что для меня очень сложно иногда бывает вести себя так, как этого хотят другие, и втискивать себя в определенные рамки, чтобы понравиться, и я знаю многих других подростков, которые сталкиваются с подобными сложностями. Поэтому, я создала эту песню, для того, чтобы они поняли, что они не одни, что подобные ощущения разделяют многие. При ее написании я поняла, что важнее всего - оставаться самой собой, даже если это трудно". Победа на национальном отборе далась Юлии нелегко. За несколько дней до выступления она слегла с простудой, высокой температурой, больным горлом и пропавшим голосом. Но в конце концов рецепты лечения, которые ее семья нашла в интернете, например пить как можно больше горячего чая с чили и имбирем, помогли и она смогла успешно выступить на конкурсе. Ожидая результаты, "Я еще никогда так не нервничала", говорит певица. "Я расплакалась сразу после того, как меня объявили победительницей, но мне нужно было повторить мою песню, поэтому было очень сложно петь и одновременно пытаться остановить слезы". "Мы верим в Юлию. У нее есть артистическая харизма, и она великолепно подает себя на сцене", заявил председатель жюри Кристер Бьоркман. Маленькая звезда отметила свою победу вместе с семьей и друзьями, которые присутствовали на национальном отборе, и, несмотря на то, что только что вылечилась от простуды, позволила себе прокатиться на атракционах парка развлечений "Gröna Lund", где проходил концерт. "Я не знаю, как я себя чувствую, потому что словами это просто не описать. Я была абсолютно восхищена. Но и шокирована, потому что не думала, что смогу победить. Другие участники были очень сильными. Все на Lilla Melodifestivalen было просто фантастикой. Особенно те люди, с которыми я познакомилась. Они очень хорошо ко мне относились, и я многому у них научилась. Например, как писать песни, выражать себя, и многим другим вещам, которые могут быть полезны в будущем. Представлять Швецию на Детском Евровидении должно быть очень здорово, ведь вся Европа увидит меня, это очень крупное мероприятие"
Весь июль и август Юлия выступала. Она приняла участие в туре Nickelodeondagen 2014 (с таким звездами, как Йохио и Антон Евальд в составе) в городах Летторп, Висбю, Евле, Гетеборг, Томелилла, Хельсингборг, выступила на фестивале Familjefestivalen в Эльмхульте, Järfällafestivalen и других местных концертах. 21го июля этого года Юлию можно было услышать в американском телесериале "Rectify". Там она исполнила свою версию популярной песни "Tom Dooley", с рэп-вставкой, написанной самой певицей, которая завершает фильм и играет во время заключительных титров. Также она в качество соавтора текста вместе с авторами Бобби Юнгреном и Томасом Г:соном подала заявку на участие в шведском Мелодифестивалене, отборе на взрослое Евровидение. На национальном финале Юлия выступила в сопровождении 6 танцовщиц, что превышает максимально допустимый лимит для Детского Евровидения. Ожидается, что ее сценический номер отполирует глава делегации на Детском Евровидении хореограф Тине Матулесси, которая в этом году работала над номером Беларуси для взрослого Евровидения, а число танцовщиц сократится до 4х. Также, Тине уже предложила новые костюмы для девочек, разработанные специально для Евровидения. Детское Евровидение 2014 будет показано на телеканале SVTB с комментариями Эдварда аф Силлена и Ильвы Хэллен. Прошлогодний конкурсант Элиас Элффорш Эльфстрём станет глашатаем Швеции на конкурсе. - Привет, Юлия! Наши поздравления с тем, что ты одержала победу на шведском Lilla Melodifestivalen! Можешь нам рассказать о своей песне, о чем она? - Спасибо! Моя песня о всех тех вопросах, которыми задаются очень многие, каким нужно быть, чтобы "вписаться" в свое окружение. Но ей я хочу сказать, что нужно прежде всего быть самим собой, и никем другим. Потому что, если ты будешь самим собой, ты никогда не будешь одинок. - Ты работала над ней со знаменитым композитором Томасом Г:соном. Как проходила работа? Поддерживаешь ли ты с ним контакты? - Да, все прошло просто замечательно. Он очень милый. У нас возникло много идей, и, когда мы их объединили, результат оказался превосходным. Так что, можно сказать, сотрудничество удалось. Да, мы общаемся с ним по поводу других потенциальных проектов, но прежде - Детское Евровидение! И Томас тоже поедет на Мальту, чтобы поддержать Швецию! - Что, по твоему мнению, помогло тебе больше всего, одержать победу на Lilla MF, и что для тебя является самым сложным в сценическом выступлении? - Я думаю, что жюри и зрители заметили, что я реально получала удовольствие от своего выступления на сцене. И мои танцоры также выступили с большим энтузиазмом. А счастье, это такая субстанция, которая очень легко передается от человека к человеку, поэтому, я думаю, это и стало причиной. Я думаю, что им еще и просто понравилась моя песня, выступление, и они захотели, чтобы я и мои потрясающие танцоры, представили нашу страну на Детском Евровидении 2014. Самым сложным для меня, наверное, является петь и танцевать одновременно! Но я люблю подобные вызовы, и сейчас много тренируюсь, чтобы мой голос хорошо звучал, когда я пою и танцую одновременно. - На сцене национального отбора с тобой выступало 6 танцовщиц, что немного больше, чем разрешено на Детском Евровидении. Придется немного изменить твой номер? И можешь ли представить нам его участников? - Да, его пришлось поменять, к сожалению, не все смогут поехать на Мальту. Мне очень печально по этому поводу, потому что девочки прошли со мной весь отбор, и помогли мне одержать победу, они просто замечательные. Но те, кто выступит со мной - тоже очень хорошие танцоры! Их зовут Эльзали, Тесс, Аманда и Лейя. Они очень милые и веселые. - Кто работает с тобой в качестве педагога по вокалу и хореографа твоего номера? - С выступлением мне помогает Тине Матулесси. Она очень хорошая, и знает, что делает. Хореограф номера - Эммели, а мой педагог по вокалу Мике Бломквист - у него много опыта работы на взрослом Евровидении, поэтому он знает, как мне помочь. - На твою песню существует и английская версия. Множество конкурсантов используют несколько английских строк в конкурсной версии, планируешь ли ты поступить также, или продолжишь исполнять полностью шведскую версию? - Есть даже две английские версии, одна в акустическом варианте, и другая, которая звучит как конкурсная версия. Да, я планирую спеть один из припевов на английском языке! - Встречалась ли ты уже с кем-то из бывших представителей Швеции на Детском Евровидении, получала ли от них какие-то советы? - Да, я знакома с Элиасом, он ходит в одну школу со мной и мы дружим. Он говорит, что я прежде всего должна получать удовольствие, и рассказал о конкурсе много интересных вещей, которые будут мне полезны. Он вообще очень хороший парень, и он тоже поедет на Мальту, поскольку он будет оглашать баллы от Швеции. - Тебя интересует, кто будет представлять на конкурсе другие страны, слушаешь ли ты их песни? - Да, мне это очень интересно! Я уже слышала все песни, и они очень хорошие. Думаю, будет очень весело познакомиться со всеми другими исполнителями на Мальте. - Какая твоя первая цель на конкурсе? Ты едешь за победой, или просто хорошо провести время и завести новых друзей? - Я хочу хорошо провести время, завести новых друзей, и получить огромное удовольствие от такого масштабного события в моей жизни. Это то, о чем я давно мечтала, для меня участвовать в Детском Евровидение - абсолютно потрясающе, и я с нетерпением жду его начала! Конечно же, я хочу победить, и я приложу для этого все свои силы. Но это совсем не самая важная моя задача, но если мне все-таки это удастся, это будет большим плюсом, и я буду очень очень рада. Но, поскольку все песни очень хороши, я думаю, что конкурс будет довольно равным. - У тебя было довольно рабочее лето, со множеством выступлений по всей Швеции, удалось ли тебе отдохнуть на каникулах? - Да, но это было очень весело! Я встретилась со множеством новых людей, побывала во множестве городов. Это потрясающий опыт! Да, я успела и отдохнуть, я побывала в Испании, отдыхала с друзьями, и много еще чего. - Расскажи, как сейчас выглядит твой обычный день, чем ты обычно занимаешься? - Обычно я хожу в школу, занимаюсь пением, танцами и театором. После школы я отдыхаю с друзьями, или занимаюсь, потом футбольные тренировки. Но в эти дни, перед Детским Евровидением, у меня множество репетиций, занятий с педагогами, примерок костюмов, и многое другое. Но это все очень весело! - Сложно совмещать подготовку к конкурсу с занятиями в школе? - Да, довольно, но я стараюсь. Мне придется заниматься в каникулы, чтобы не отстать от других, и чтобы не привозить с собой учебники на Мальту. - Нравится ли тебе учиться вообще? Какие твои любимые предметы? - Не-а... Обычно нет... Но иногда, если у меня интересные занятия, типа музыки, танцев, еще шведский язык, может быть довольно забавно. Ну еще зависит и от того, как приходится учиться. Если это просто читать учебники, то это неинтересно. Но если нужно искать что-то по интернету, или смотреть какие-то видео, то тогда еще ничего. - Ты выпустила уже несколько альбомов с классическими детскими песнями. А есть ли у тебя в репертуаре еще песни собственного авторства? - Да, у меня вышло 7 или 8 альбомов с детскими композициями, классическими и современными. И да, у меня есть и песни собственного авторства, но не так много. Я пишу много песен, но многие остаются незавершенными, это мой недостаток, я часто начинаю что-то, но не могу завершить. Я пытаюсь работать над этим. - Ты предпочитаешь придерживаться одного направления в музыке, или ты любишь экспериментировать? - И то и то! Конечно, я чувствую себя более уверенно, выступая в привычном жанре, но я люблю вызовы, и это очень забавно пробовать что-то новое. - А какие у тебя планы после конкурса? Ты бы хотела стать профессиональной певицей? - Я пока не думала... Я не загадываю наперед, поэтому я просто хочу заниматься тем, чем я занимаюсь, и быть самой собой. Конечно же, я хочу стать профессиональной певицей, но если мне это будет подходить. Я хочу делать то, что мне нравится, и пока это - заниматься музыкой. - Ты несколько раз выступала со своей младшей сестрой Алвой, думаешь, однажды она тоже примет участие в Lilla MF, может быть вы когда-нибудь станете подобными сестрам Санден? - Да, она очень талантливая. Я пока не могу сказать, захочет ли она участвовать в Lilla MF, можеть быть да а может быть и нет. Возможно, она захочет пойти по какому-то другому пути. - И если ты хочешь что-то добавить для наших читателей, то ты можешь это сделать сейчас. - Я надеюсь, что вы все посмотрите Детское Евровидение, и будете болеть за меня. Я - ничто, без поддержки и любви зрителей. Надеюсь, что вы все хорошо проводите время, и занимаетесь тем, что вам нравится, тем или иным способом. Помните, вы не одиноки, и вы чертовски хороши уже такими, какие вы есть. Если вы хотите познакомиться со мной лучше, можете следить за мной в социальных сетях: Instagram и Facebook. Юлия Чедхаммар примет участие в утреннем шоу "Gomorron Sverige" на SVT 1 завтра, 6го ноября, начиная с 09:15 местного времени. Запись программы можно увидеть здесь. Юлия Чедхаммар выпустила видеоклип на акустическую английскую версию своей песни "Du är inte ensam", озаглавленную "You Are Not Alone". Видеоклип сняла компния Sky Pictures. Представительница Швеции, 14-летняя Юлия Чедхаммар, выпустила официальный видеоклип на английскую версию своей конкурсной композиции "Du är inte ensam", озаглавленную "You Are Not Alone". Режиссером видеоклипа выступил Йонни Холмберг, Självständig Film. Шведский вещатель SVT объявил расписание эфиров Lilla Melodifestivalen 2014 на своем детском канале Barnkanalen. Несмотря на то, что само шоу прошло в июне и его победитель давно известен, как обычно SVT покажет его непосредственно перед международным финалом Детского Евровидения в ноябре. Представительница Швеции Юлия Чедхаммар дала сегодня утром интервью программе "Доброе утро, Швеция" на радиостанции P4 Стокгольм, где, помимо прочего исполнила акустическую версию своей конкурсной песни "Du är inte ensam" и новую композицию "Lillebror". В интервью принимал участие и отец Юлии Андерс, который также аккомпанировал ей на гитаре. "Кстати, сегодня мы начнем репетиции перед Детским Евровидением", рассказала Юлия во время программы. Победа на Евровидении сделала бы ее невероятно счастливой. " "Это бы значило для меня всё. Конечно, я еду на Евровидение за победой, но, в то же время, хочу просто получить удовольствие". Ее новая песня "Lillebror" рассказывает о любви к младшему брату, но Юлия объясняет, что ее текст не автобиографичен. "Смысл песни в том, что нужно использовать время с теми кого ты любишь, пока еще не слишком поздно", рассказала она. Прослушать полностью интервью (на шведском) и отдельно конкурсную песню вы можете в группе ESCKAZ ВКонтакте. Юлия Чедхаммар рассказала сегодня в своем блоге, что только что записала английскую версию своей песни "Du är inte ensam" (правда в акустическом варианте) и она будет выпущена в ближайшее время. 5го февраля шведский телеканал SVT открыл прием заявок для участия в национальном отборе на Детское Евровидение Lilla Melodifestivalen. Как и обычно, телеголосование не применялось ни на одной из стадий отбора, все решения принимались только профессиональными жюри. До 14го марта дети в возрасте от 12 до 15 лет (SVT снова использует этот, отличающийся от общеевропейского, более повышенный возрастной ценз) могли отправлять свои заявки в соответствии с правилами национального отбора. Важнейшим изменением стало то, что по стилистике Бельгийских и Грузинских отборов, в этом году кандидаты приглашались для участия с видеозаписями любых выступлений с любыми песнями, а не обязательно новыми работами и песнями собственного авторства. Благодаря облегченным правилам, количество поступивших заявок почти достигло тысячи, что стало рекордом за последние годы. Прослушивания состоялись 5го апреля, в них перед жюри, состоявщим из Линнеи Викблад, Тине Матулесси и Кристера Бьоркмана, выступили 20 исполнителей. 14 апреля стали известны имена 8 финалистов проекта. Среди известных композиторов, работавших в этом году с участниками, были Томас Г:сон, Линда Сундблад, Маркос Убеда и Джимми Баффет. Кандидаты также были приглашены в специальный тренировочный лагерь, где с ними занимались специалисты по вокалу и танцам. Национальный финал состоялся 6го июня в 17.00 в парке развлечений Gröna Lund в Стокгольме, его провел Ким Ольссон, и он транслировался в прямом эфире шведского радио P4. Шоу будет показано на детском канале SVT Barnkanalen в ноябре, непосредственно перед Детским Евровидением на Мальте. На шведском отборе была выбрана первая песня для конкурса 2014 года - ею стала "Du är inte ensam" в исполнении Юлии Чедхаммар. В состав жюри национального финала, определившего победителя, вошли Кристер Бьоркман, Каролина Норен и Малин Ольссон. В качестве специальных гостей на концерте выступила группа JEM. Альбом Lilla Melodifestivalen был выпущен в продажу лейблом Lionheart Music Group 7го июня и его можно приобрести на шведском iTunes". Можно ли смеяться, не будучи счастливым? Может ли кто-то знать то, что никто не знает? Есть ли ответы? Что такое хорошо и что такое плохо? Что у тебя есть, чем ты занимаешься и где ты живешь?